The Nadcap audit and accreditation process has been designed to benefit from industry input at critical points, while minimizing customer workload where possible. Ultimately, industry representatives make all the key decisions regarding which processes require audits and which Suppliers receive Nadcap accreditation. Auditable activities are grouped as follows. Click on the special process to view the scopes that can be included in an audit. In order to smoothly facilitate your upcoming Nadcap initial or re-accreditation audit, each Task Group would like you to be aware that eAuditNet contains numerous self-help documents to guide through the process. 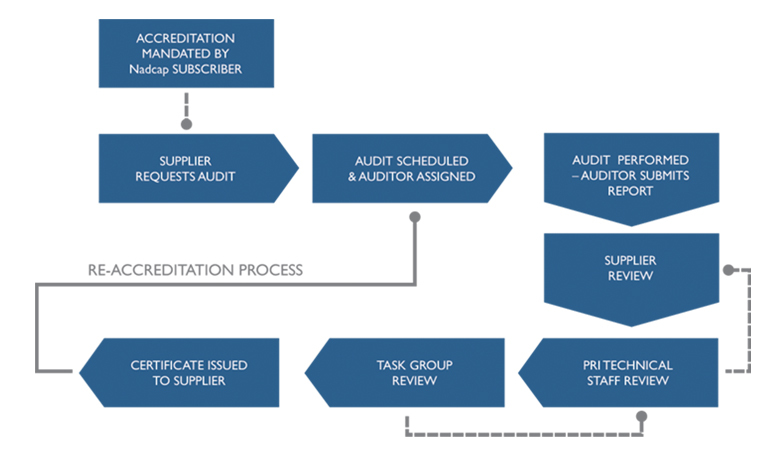 The path provided below will lead you to the relevant area where you will find links to numerous self-help documents pertinent to every stage of the Nadcap audit process. You are encouraged to take advantage of these valuable self-diagnostic references prior to your Nadcap audit. They may help you to avoid many of the most common findings and maximize your benefit throughout the audit while minimizing overall costs to your business. The Aerospace Quality Systems Task Group recognizes the industry developed Aerospace Quality Systems standard 9100 and 9110. In, addition, Nadcap recognizes ISO/IEC 17025 for testing laboratories, including nondestructive testing laboratories. The ISO/IEC 17025 scope of accreditation must cover the Nadcap scope of accreditation and be from an approved NACLA / ILAC accreditation body. At the time of the audit, when a supplier does not hold a current approved quality system in accordance with PD 1100, an assessment to the Nadcap AC7004 is required. The AQS Task Group is also the Technical Resource on Quality Issues for all of the Nadcap Task Groups. Subscribers may obtain Nadcap Accreditation through one of two options. 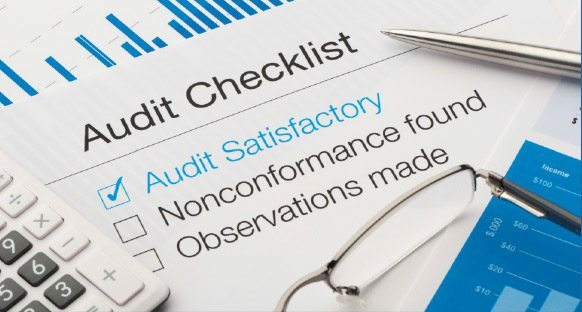 Option A is a Subscriber participation option where all audits are conducted by PRI/Nadcap auditors, accredited by their review team and certified when the audit closes. This option is essentially the same as a Supplier standard accreditation with the exception that the Review Team accredits the audit as opposed to the Task Group. Option B is a Subscriber participation option where all audits are planned and conducted on an annual basis by a combination of PRI/Nadcap auditors and Subscriber qualified internal auditors. The majority of the sites are audited by the Subscriber and a sample of sites are audited by PRI/Nadcap auditors and reviewed by the Review Team. 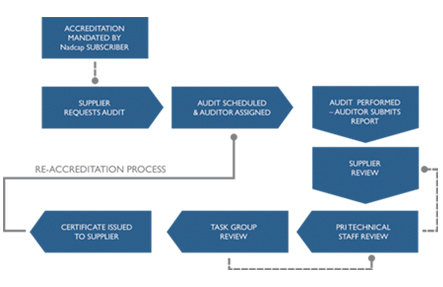 In addition, there is a single Headquarters audit that is conducted by PRI to ensure the Subscriber internal audit program is meeting the Option B requirements. After all audits have been completed, a single certificate is issued that lists all accredited sites and special processes.